ESET Smart Security 6 is an all-in-one Internet Security solution with new Anti-theft feature that locates your missing laptop and gives you tools to help recover it. How many personal photos, tax returns and private emails are stored on your computer? Our comprehensive Anti-theft features, accessed via the web, help you locate your misplaced laptop on a map using Wi-Fi®, block access to your files and turn on its webcam so you can identify the thief. Your identity can’t be more personal—or more important. Powerful firewall, removable media and Anti-Phishing security features protect you against criminals trying to steal your personal information through online scams, hacking or by physically plugging a USB thumb drive into your computer and taking files. The time tested NOD32 technology in ESET Smart Security lets you enjoy your technologies to the fullest. The solution eliminates all types of threats, including viruses, rootkits, worms and spyware. Cloud-powered scanning delivers a higher level of protection, speeding up scans and ensuring that your computer runs at its best. By preserving more power for the programs you use daily, ESET lets you play and work without slowdowns. Stay unplugged and online longer with battery-saving mode and enjoy gaming and videos without distracting pop-ups. Thanks for this chance. Please, count me in. Great! Thank you for this giveaway! A solid av, firewall and anti-spyware suite is what I do need now. So I’ll try my luck. Hi. Thanks for this Giveaway. Thanks. Very good software. Good luck to all. Thanks for this giveaway. Best regards. Awesome! Thanks and count me in! count me in too . Спасибо за предложение. Это самый надежный антивирус,которым я пользуюсь. Пожалуйста,считайте меня. Grande Giveaway , spero per una volta di essere il fortunato vincitore. cosa significa in attesa di moderazione. Cool I would like to try this program out thanks. Thanks for this wonderfull giveaway. Count me in. This security program reads very interestingly. Please count me in for the giveaway. My thanks also. I would enjoy owning this! I am a current email subscriber. 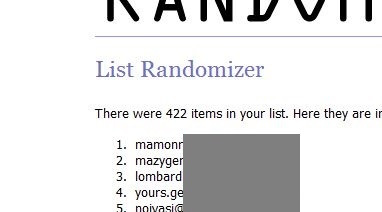 Thanks for the giveaway, please count me in! Thank you! A very good product! I’m getting a trial version. I very much want the full version! I need it because: I think it is the best antivirus. Thanks for the contest. Please, count me in. The best in its class! Thanks a lot for such a superb chance. Eset is the best, thanks for this chance……………………. ESET Smart Security is a solution designed to protect your computer against all existing threats. Thank you for this find everything. Please count me in. Had Eset awhile ago and loved it. Can u count me in? Really like this amazing AV. Great giveaway. Hope i’m the lucky recipient of this great prize. Thank you for the opportunity. I like this software . Give me a chance to have one . 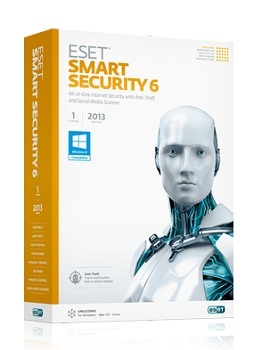 ESET Smart Security giveaway!? Who do I have to kill to win this one!? 🙂 😀 Want this program so bad! Hello, Thank you for this great security software giveaway. Please count me in. Great security software, count me in, thanks. Nice software, count me in please. Thanks for a chance to get some good software! Count me in. One of the best AV’s out there. This is a good giveaway, thanks, am subscribed already. Thank you very much and all the best for you. Senad. Wow. A great giveaway. Will You please include me in on this giveaway? Eset Smart Security is a great product, thanks! Count me in and thanks…. a reliable antivirus to protect your computer and have a full feature, thank for the giveaway. Please put my name in the hat. Thanks! pls count me in. thanks. Hi, would be great to have this antivirus. I’ve never use ESET but i’ve heard it’s one of the good antivirus and all in one internet security out there. Count me in! Thanks. Its an awesome Giveaway ! I love ESET Smart Security very very much. Please try to include me in the Draw and I hope to win this one ! Thanks for this Giveaway ! that is a big giveaway ,this is best security software at the market thanks for the chance to win 1 key for a year thanks………………. Thank you so much for giving away ESET! great software. lucky to win one. thanks i hope to win. I’ve been back! Count me INN! I Love ESET. Please count me in for the giveaway. Thanks. I like eset smartsecurity ! Please count me in for this giveaway! I like to take part in the giveaway. Thanks. Eset has made very good security products and it has constantly improved! Count me in please! I’d like to thank Appfound for this giveaway/contest of Eset Smart Security. Eset’s total security suite is superb and I’d like to join! Count me in! Consider me for this giveaway! Thanks. Please, count me in. Thanks please count me in.. Many thanks for the offer. Hope to win. Ah, if only I am lucky enough to get this one…. ESET is excellent security product. Thank you for the ESS 6 giveaway. Eset is very good. plz count me in. thanks. A good protection engine with one of the best heuristic detectors out there – not too many false positives. Used at work, so why not a chance to switch for at home? Thanks for the giveaway! to see if I have luck. Thanks for fantastic giveaway . Eset is good software . Great promotion! Thanks a lot! Please count me in. Thanks for this giveaway, count me in. Thanks a bunch for this. Please count me in. Excellent Giveaway !!! Please, count me in. Thank you. Would love to win this. This antivirus is the best. Hi, this is one of the best website. And I can find the useful info on it. I’d really like an anti-virus! Thanks for the giveaway. Thanks AppFound for this fantastic giveaway. Thank you for the opportunity for this giveaway, please count me IN!! Thanks for this great giveaway. Please count me in. Please count me in! Thank you! Thanks for the chance at a nice product. Count me in too. 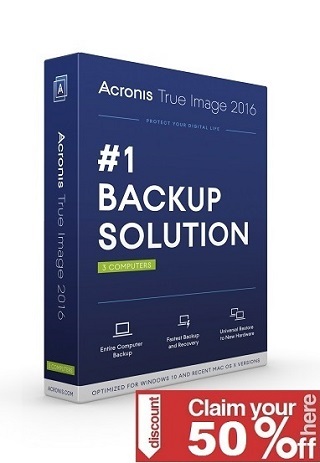 ths is one of the best av software. please consider me for this contest. Thanks for this nice contest. Thanx for this great giveaway Appfound. Awesome giveaway, count me in please! Does anybody ever win these things????????????????? Very useful site and a lot of useful programs. Good Luck! Thanks , great giveaway ! ESET Smart Security 6 magnificent protection program, thanks hello. Good antivirus product hope to win. I really need this software. Count me now! Thank you for the Giveaway. Count me in. I needed one antivirus program, thanks for the opportunity that you give us. thanks ,this is goos software ,Please count me in. Great software. Please count me in for this nice giveaway. Awesome giveaway. Please count me in. I like it. Count me now! Great offer! Thank you and count me in, please! This seems like a keeper. ESET is one of the light security suite and has really great detection rate….thanks for the giveaway…..
And count me in please! I want to win a license, please add me in the drawing. ESET is rhe best antivirus program. Count me in please. Great product. count me in please. Very nice program. Count me in please. People, which is wrong with you? One of the fish in the Pacific Ocean and all the entire of the globe strives… to get it. Can not you see, that there is just one instance? Are you really … or is it just a stupid gamble only? I can understand, if the chance is about 1:2, but this? Count me in. Thank you very much. Thank you for the Giveaway. Please count me in!!! Please count me in. Thank you for the giveaway. thanks for this giveaway! good software! Always Subsribe but didn’t get any PM’s. ESET is one of the good security software consuming least system memory. Count me in . Thanks ! This is the awesome giveaway. hi please count me in . Great giveaway. Please count me in. Thank you! This is a great giveaway! Please count me in. Thank you! Nice Giveaway Count me in please!!!!!! Thank You for this opportunity . Thank you, perfect software, great giveaway !!! Great giveaway, please count me in! One of the best PC securities. Thanks for this giveaway and please count me in. The best of the paid antivirus for me. Please count me! Great giveaway! Wow, a really good giveaway. Please count me also. Спасибо за предложение. Пожалуйста посчитайте меня также. Thank you so much for this great giveaway. Please count me in. Nod 32 is İş arayanlar Ek iş yapmak isteyenler. Dünyanın ticaret merkezi haline gelen internet sayesinde kendi işini kurmak ve bu yolla para kazanmak artık mümkün. Thanks for the opportunity; count me in! Great giveaway! Count me in. Thank you very much. Thank you Appfound for this giveaway. Wow, Thank you very much. Great giveaway. Love Eset NOD32! Most awesome Anti-Malware/Virus program ever! Great giveaway please count me in also thanks!